Sea of Galilee and the Golan Heights. 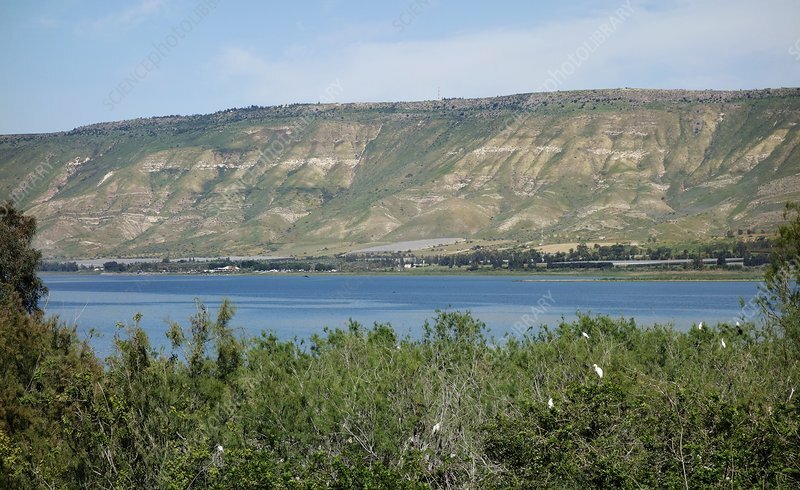 The Sea of Galilee, also known as Lake Kinneret, Lake of Gennesaret, or Lake Tiberias, is a large freshwater lake in Israel. It is approximately 21 kilometres long, and 13 kilometres wide. It is the lowest freshwater lake on Earth and the second-lowest lake in the world (after the Dead Sea). The main source of lake water is the Jordan River which flows into it from the north and exits at the south. The Golan Heights is a basaltic plateau lying to the north and east of the Sea of Galilee. It has been the scene of territory dispute, occupation and armed conflict through the 20th and into the 21st century.